The Holocaust it one of the darkest events in world history. To this day there are people who lived through these horrors that still cannot talk about them. It is a gory lesson in history, with many lives lost and many crimes against nature. And, yet we must find a way to teach it to children. Through the use of graphic novel, Art Spiegelman, has seemed to have created a way to teach children this important lesson. 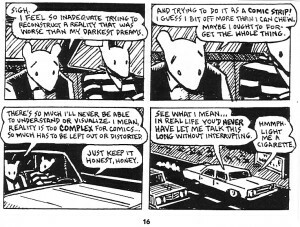 Art Spiegelman, through the recollections of his father, created two black and white graphic novels, Maus I: My Father Bleeds History, and Maus II: And Here My Trouble Began. Within these two works the events surrounding the Holocaust and the toll it took on the people is reimagined in a way that not only breaks it down better for children, but also offers enough detachment from the actual events that would possibly allow those directly affected to possibly read about this dark period of history as well. The events leading up to the Holocaust could be described as a game of cat and mouse between the Nazis and the Jews. 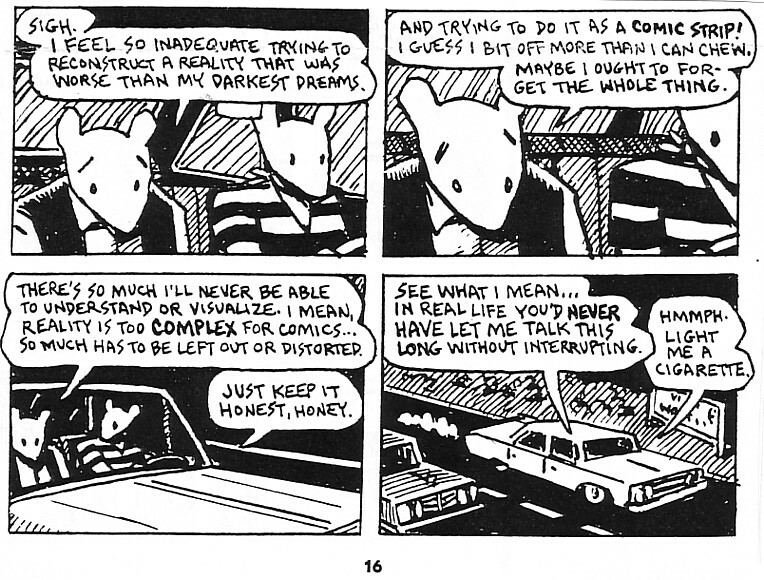 Spiegelman takes a literal approach to this concept within his graphic novel. People within the Jewish community are portrayed as mice. Not because they are weak by any means, but because they are family oriented and resilient. The Nazi commanders are portrayed as cats, and the German people blindly following their rules are portrayed as pigs. But the graphic novels are not only about the Holocaust, they are also about a father reconnecting with his son, and the toll that it takes on a family. In Maus I: My Father Bleeds History, we find Spiegelman reconnecting with his father after many years of distance. As he listens to his father’s tales they become closer and closer. He learns about his father’s troubles, and he learns about his mother, who died before the book took place. Spiegelman begins to find out all the reasoning behind all of his father’s actions and quirks. By the end he and his father are on a path toward recovery, with only the revelation of what happened to his mother’s journals between them. Maus II: And Here My Troubles Began, is darker. Darker in content, coloring and emotional toll on the author. Spiegelman and his father begin to talk about the horrors about what happened in the concentration camps. We also find about the severity of his father’s decline in health. As well as the depression of the author himself. After publishing Maus I, he has gained fame. The author feels that his new pedestal is on the backs of the dead. He struggles with this for a while within the book. He draws himself during this phase as a human with a mouse mask, like he does not feel he deserves to be noted among the lost souls he writes and draws about. He considers However but by the end he realizes that is important that he is writing these stories and letting the world know first-hand accounts of what had happened. 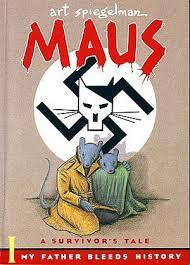 Maus, is a graphic novel that helps tell an important lesson about history. It also tells an important lesson about the how experience take effect on those who have lived them, and the importance of family.